This Sotogrande Luxury Apartment is spacious, featuring a large lounge with dining area and three bedrooms. 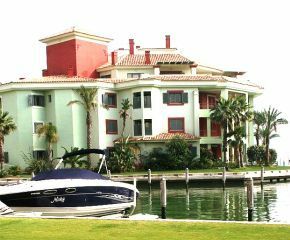 This luxury ground floor apartment is beautifully furnished in a frontline waterfront position in the heart of Sotogrande Marina. The lounge, kitchen and all bedrooms are South facing, each with patio doors opening onto lawned gardens.